BBC Music Sound of 2017 winner RAY BLK releases the video for her single ‘Patience (Freestyle)’, watch HERE. The Hector Dockrill directed visual was released today exclusively via FADER. Set in a hair salon in Peckham, the location provided the perfect backdrop for a performance of a track that serves as an interlude between RAY’s last single (Chill Out Ft. SG Lewis) and the next one to come. ‘We wanted to create a piece that was entirely focused on RAY and the message she wanted to voice. The simplicity of the idea gave RAY the freedom to explore her performance in an environment where she feels comfortable – the hair salon was also a nice little nod to her debut music video ’50/50’’ speaks Hector Dockrill. ‘We wanted to do something natural, something everyday that people could relate to – a conversation in the hair salon. I wanted it to feel like I’m talking to whoever is watching so they really hear the message’ from RAY BLK. Recently named as winner of the BBC Music Sound Of 2017, RAY BLK is unstoppable, delivering an epic set at her third SOLD OUT headline show at Village Underground a few weeks back. ‘Patience (Freestyle)’ was recently premiered across Zane Lowe’s Beats 1 show and currently sitting on the Radio 1, 1Xtra and Capital Xtra playlists. Recorded in Los Angeles, the freestyle encompasses RAY’s signature flow, touching on her decision to remain completely Independent. Delivering the honesty of rap music, with her unique blend of soul and R&B spirit, RAY BLK has been supported by BBC Music since she dropped her breakthrough track ‘5050’. The recent release of her project ‘DURT’, a dynamic body of work features recent track ‘Chill Out’ Ft. SG Lewis , ‘My Hood’ Ft. Stormzy, ‘Gone’ Ft. Wretch 3 as well as ‘5050’. RAY BLK commented “Winning the BBC sound of 2017 has to be the most surprising thing that’s happened to me thus far. I feel so honoured to have topped the list this early in my career and join such an incredible alumni of winners. Thank you so much to the BBC and all the voters! RAY recently delivered a truly epic performance of ‘My Hood’ on BBC 2’s Later… with Jools Holland. She was also nominated as Best Newcomer at last years MOBO Awards and featured on MTV’s Brand New for 2017 annual list. 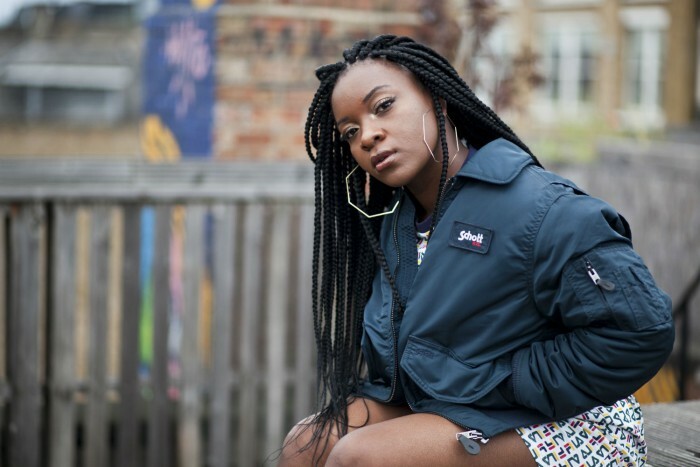 With three sold out shows already under her belt last year (Hoxton Bar & Kitchen/Bush Hall/Village Undeground), RAY BLK is set to support Emeli Sandé on her upcoming UK tour.